296 pages | 65 B/W Illus. 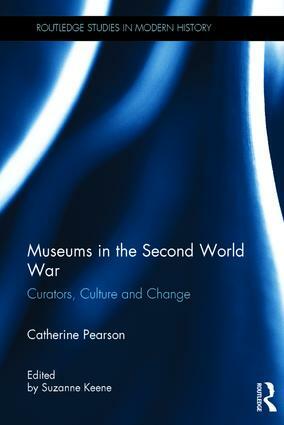 Exploring the role of museums, galleries and curators during the upheaval of the Second World War, this book challenges the accepted view of a hiatus in museum services during the conflict and its immediate aftermath. Instead it argues that new thinking in the 1930s was realised in a number of promising initiatives during the war only to fail during the fragmented post-war recovery. Based on new research including interviews with retired museum staff, letters, diaries, museum archives and government records, this study reveals a complex picture of both innovation and inertia. At the outbreak of war precious objects were stored away and staff numbers reduced, but although many museums were closed, others successfully campaigned to remain open. By providing innovative modern exhibitions and education initiatives they became popular and valued venues for the public. After the war, however, museums returned to their more traditional, collections-centred approach and failed to negotiate the public funding needed for reconstruction based on this narrower view of their role. Hence, in the longer term, the destruction and economic and social consequences of the conflict served to delay aspirations for reconstruction until the 1960s. Through this lens, the history of the museum in the mid-twentieth century appears as one shaped by the effects of war but equally determined by the input of curators, audiences and the state. The museum thus emerges not as an isolated institution concerned only with presenting the past but as a product of the changing conflicts and cultures within society. The Second World War: impediment or impetus? Why has wartime success been overlooked? Catherine Pearson, Author, Independent Historian and Scholar, UK. She is the editor of the journals of museum curator, E.J. Rudsdale, 1920-1951. Suzanne Keene, Editor, Reader Emeritus at University College London. She has a number of published books on museum collections, most recently co-authoring Museums and Silent Objects: Designing Effective Exhibitions.